Last week, my father, who is 90, came to Washington for a reunion of people who worked in the JFK White House. Most of his fellow staffers of 50-plus years ago had passed away or could no longer travel. My dad, who was also director of the JFK Library, remains, thankfully, very vigorous and still teaches at Harvard, serves on all sorts of boards and engages in numerous volunteer activities. His mind is as sharp as ever. But he confided to me that he wasn’t looking forward to the coming month – to the books and the commentaries and the TV specials. 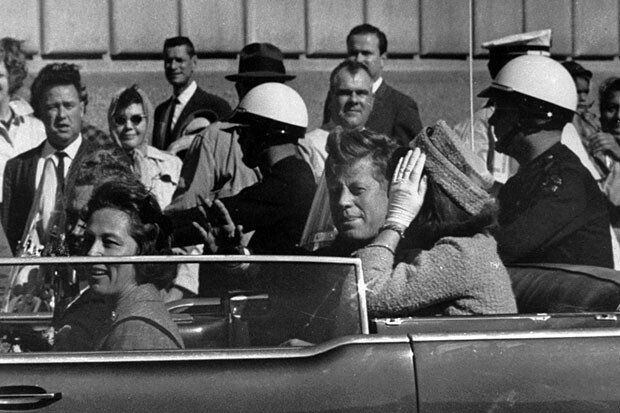 Not only did they bring back the memories of Nov. 22, 1963, but they were often analyses that were destined to be over the top, conspiracy-laden and historically inaccurate. I, too, have a fear of overdose. I was a 15-year-old kid whose dad worked in the White House. A kid who grew up around Massachusetts politics and who, like so many, was stunned when our principal came over the public address system at Walt Whitman High School in Bethesda, Md., to tell us the president had been shot. I remember meeting Kennedy as a boy in the ’50s, campaigning in 1960, going to that final rally at Boston Garden the night before the election and waiting for what seemed like hours for Kennedy to arrive to give his final speech of the campaign. I remember watching the inauguration at a neighbor’s because our parents were in Washington on that snowy day. I even remember my friends in Lexington, Mass., where I grew up, asking me whether I lived in the White House! Like most Americans of my age, I not only have a clear memory of that Friday, but of the entire weekend. A nation, a world, grieving, glued to their televisions in all the starkness of black and white. Hope shattered, innocence lost, a future uncertain. It was unexplainable, random, surreal. It was the beginning of a decade of Vietnam, violence on our own streets, more assassinations, growing up as if you had been whip-sawed by events that truly altered our national psyche. For those who worked in the JFK administration it would, of course, never be the same. My father was riding in a car during the funeral with the famous reporter Mary McGrory and a number of others when one of Mrs. Kennedy’s staff said, “We will never laugh again.” My father replied, “We’ll laugh again, we will just never be young again.” McGrory somehow thought the quote had come from Daniel Patrick Moynihan and reported it in a column. It was an exchange that encapsulated the time so well. My dad never questioned it or tried to correct it – Pat was his friend and they all felt the same way that day and for the rest of their lives. For many of my generation it was, and always will be, a defining moment in who we are and how we view ourselves and our country. To all of us, it was personal. Maybe that’s why, 50 years later, we find ourselves with a flood of books, articles and TV specials.